Overwatch Character Lore: Volume 1 looks at nine characters, Ana through Lucio, and the full series will include all characters added to the game through September 2018. Prior to Overwatch, Ana Amari served in the Egyptian military, under the callsign “Horus”—a direct allusion to her Eye of Horus tattoo, which symbolizes protection. Her superior skill as a sniper attracted the attention of those who were putting together an elite strike team: Overwatch. Ana was among the founding members of Overwatch, and served them with honor and duty – values she went on to instill in her daughter, Fareeha Amari. Ana served Overwatch until at least her mid-fifties, and despite her position as Jack Morrison’s second-in-command, refused to step down from combat operations. Although a fantastic sniper, Ana hated needless killing. She had taken many lives during her time with the Egyptian army, and was glad to trade her Kinamura rifle, which had a strike for every life she had taken, for the biotic rifle designed by Torbjorn Lindholm. This biotic rifle manipulated cutting-edge biotic technology, meaning that Ana could change a setting in order to heal allies, as opposed to dealing damage to enemies. Ana, who already had a cybernetically-enhanced eye, lost her eye when she hesitated to kill Widowmaker, who she recognized as Amelie Lacroix, widow of former Overwatch scientist Gérard. Although Ana struck first, her hesitance allowed Widowmaker to retaliate, shooting Ana through the scope of her own sniper. After this, the world thought that Ana Amari was dead. However, this was not the case. Ana went into hiding, deciding to refrain from involving herself with the world’s conflicts. However, before long, her conscience spoke to her. She sent a letter to her daughter, Fareeha, in order to explain her absence. After that, she took up arms herself, under the alias of “Shrike,” and decided to return to a life spent protecting those who can’t protect themselves. 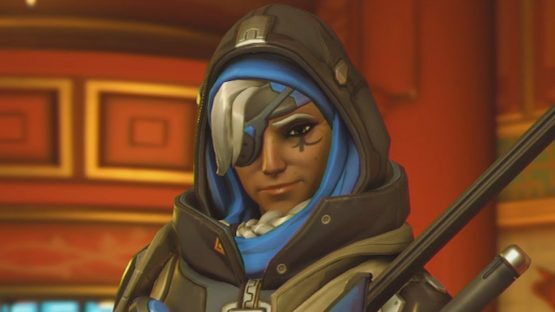 Ana was reunited with Jack Morrison and Gabriel Reyes, now operating under the alias of “Reaper,” in Egypt. Reaper had come to kill his former friend, Morrison, but Ana saved him. After deterring Reaper, Ana agreed to assist Morrison, now acting as the vigilante “Soldier: 76.” However, she assured him that she was helping him because she cared about him, not his war. Bastion is the last E54 Bastion unit in existence. The E54 model was created by Torbjorn Lindholm, and was originally conceived for peacekeeping purposes. During the Omnic crisis, however, the Bastion units were deployed on the front lines of the Omnic army. After Overwatch quelled the crisis, all of the remaining Bastion units were dissembled. However, this Bastion unit survived, and it seems to have broken free of its combat programming, being far more interested in the world around it than fighting. It even made friends with Ganymede, the yellow bird. In the short film The Last Bastion, we see Bastion wake up, no longer crazed. However, when threatened, the unit is overridden by its core programming. Roused to action by a woodpecker pecking, Bastion enters its combat configuration, laying waste to the forest around it. Bastion becomes heartbroken after it comes back to its senses and realizes that it scared Ganymede away. It continues towards Stuttgart, which had been its destination before it fell dormant several years before. After coming across several destroyed Bastion units, Bastion accesses the memory chip of one such unit. After reliving the events which led to this destruction, Bastion engages its combat protocol again, now on a mission to take revenge. However, Ganymede returns, offering Bastion a twig. Bastion is torn, but decides to turn back towards the forest with its new avian friend, no longer interested in reaching Stuttgart. 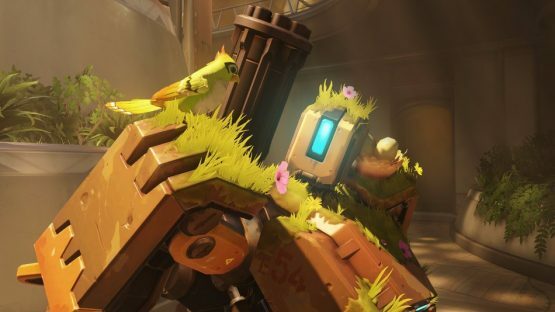 Bastion, when discovered by a group of German teenagers, has a bounty placed on his head. However, at that time, Torbjorn arrives in Stuttgart. He announces that he will take care of Bastion, but he is followed by a naive policeman. The policeman scares Bastion away, which makes Torbjorn suspicious as to this Bastion unit’s nature, as E54 models don’t scare easily. Torbjorn finds Bastion near a beaver dam and, recognizing Bastion’s docility, detonates a trap which subdues Bastion’s pursuers. Torbjorn then takes Bastion with him and fixes him up. 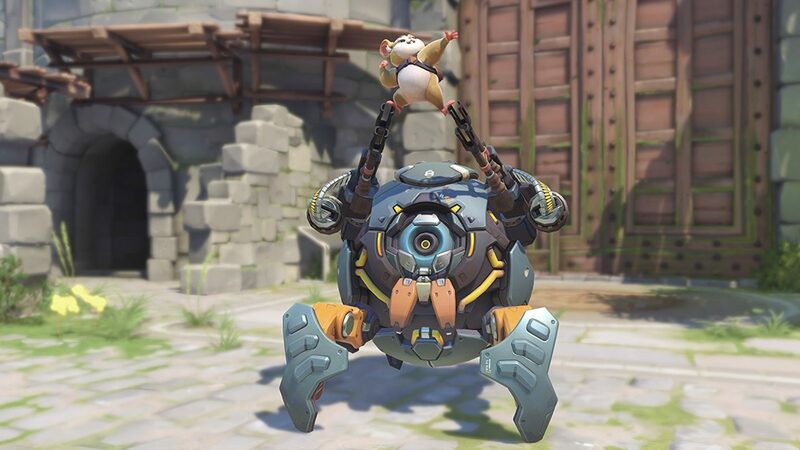 The two become close friends, symbolizing a harmony between human and Omnic that Zenyatta would be proud of. Brigitte followed in her father’s footsteps to become a brilliant engineer—the first of his children to do so. From a young age, though, she maintained an interest in armor and defense, as opposed to inheriting her father’s interest in weapons and combat systems. Before she completed her apprenticeship, she decided to travel Europe with Reinhardt as his squire, much to the delight of her godfather. Torbjorn approved, knowing that there was no one in the world she could possible be safer with than his best friend. Now, she tends to Reinhardt’s Crusader armor, just as her father once did. However, she soon learns that tending to Reinhardt himself is also necessary. Although he is young at heart, his enthusiasm can be detrimental to his body. She quickly realizes that the best way to help him is to fight with him, so she invents a unique suit of armor for herself, and now they fight against injustice together. 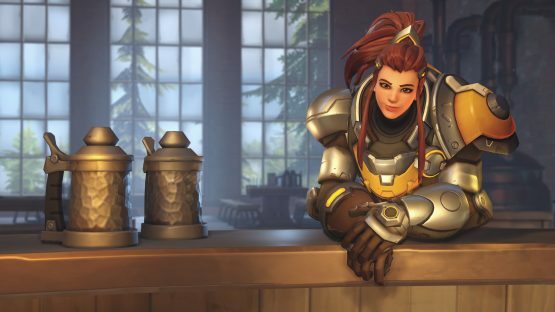 Brigitte disapproved of Reinhardt’s decision to accept Winston’s recall, but grew to respect the decision he made, recognizing her godfather’s unflinching adherence to honor and glory. D.Va, real name Hana Song, was once a professional gamer. Now, still only 19, she pilots a state-of-the-art MEKA unit, protecting her homeland of South Korea against a massive rogue Omnic. 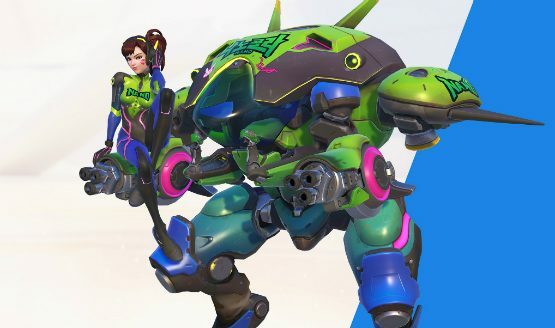 D.Va was drafted into an elite force of pro gamers, whose mechanical skills in-game made them the perfect candidates to pilot these MEKA units. The Omnic had adapted to MEKA’s drone-control networks, so these pilots had become necessary if South Korea was to stand a chance. Viewing the battles as real-life video games, D.Va’s intense competitive spirit earned her a reputation as one of the best MEKA pilots in the force. Even Jesse McCree has been impressed with her shooting ability on at least one occasion. It is believed that D.Va has started to livestream her battles with the Omnic straight from her mech, much to the delight of her devoted fans. D.Va is a huge fan of Mei-Ling Zhou’s climatology journals. First of all, there have technically been three Doomfists. The current Doomfist is Akande Ogundimu, who is a high-ranking Talon official. Hailing from Nigeria, Ogundimu was a prolific martial artist, and the heir to his family’s prosthetic-technology fortune. However, Ogundimu lost his right arm during the Omnic crisis. Although his family’s cutting-edge prosthetic remodeling made him stronger than ever, it disqualified him from competing in martial arts tournaments, depriving him of his passion. He was recruited into Talon by the second Doomfist, Akinjide Adeyemi. Although he respected Adeyemi, he eventually killed him in order to obtain the eponymous Doomfist gauntlet. Talon respected his ambition, and in Talon he discovered the opportunity to combine his strength and cunning, as he simultaneously fashioned himself as a weapon and a leader. Doomfist launched an attack on Numbani, but was thwarted by Winston. Having easily beaten Tracer and Genji, it wasn’t until Doomfist crushed Tracer’s chronal accelerator that Winston unleashed his Primal Rage and bested Doomfist in combat. This resulted in Doomfist’s imprisonment. While he was in prison, loyalists Widowmaker and Reaper attempted to recover his gauntlet from an exhibition, but were easily pushed back by Winston and Tracer. Following the events at the museum, Reaper changed his agenda, opting to ignore the gauntlet and focus on freeing Doomfist himself. Doomfist punched his way through his own cell, without his gauntlet, and Reaper spearheaded a successful extraction. At a ball in Monaco, Doomfist was warned by his colleague, Maximilien, that Vialli had come to power in Doomfist’s absence. Soon after, Doomfist and Widowmaker were attacked by Vialli’s mercenaries. The two easily incapacitated the mercenaries, and with the help of Reaper and Sombra, traveled to Venice to assassinate Vialli. They were successful, and Doomfist, alongside Reaper, announced his plans for the future of Talon to Talon’s inner council. Doomfist recently recovered his gauntlet from Numbani, easily disposing of a team of OR15 robots. 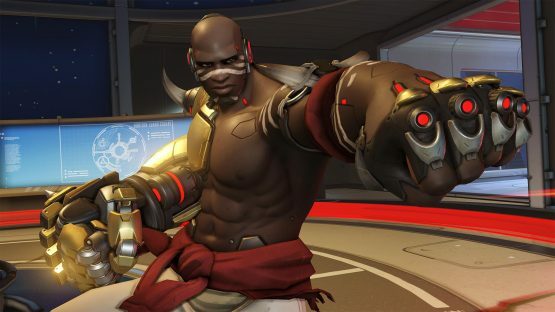 Now, gauntlet in hand, Doomfist leads a Talon organization that is stronger than ever, ready to make sure that Overwatch never even gets the chance to reform. Genji Shimada was born with a name at odds with his ambitions. The youngest son of Sojiro Shimada, Genji grew up alongside the Shimada ninja clan. This notorious clan operated mainly in Tokyo, but has influence across all of Japan. Genji displayed no interest in his family’s criminal activity, and, after his father’s death, his brother, Hanzo, demanded Genji sacrifice his lavish lifestyle and step up to the plate. Genji refused, and Hanzo, furious, bested him in a fight to the death – or so it would seem. Genji, whose grip on life was loosening, was rescued by Dr. Angela Ziegler, aka Mercy. With the use of cybernetic enhancements, Mercy essentially turned Genji into a cyborg. Genji then joined Overwatch, becoming a respected warrior in the ranks of its covert ops division, Blackwatch. His main goal was to dismantle the Shimada clan. Genji supported Gabriel Reyes’ execution of Antonio Bartalotti, which is covered in great detail in both Moira and Reaper’s sections. Genji grew to hate his new body more and more each day, and eventually left Overwatch, opting instead to travel the world in search of meaning. Eventually, he crossed paths with the Omnic monk, Zenyatta, who taught Genji how to find peace in his new body. Genji became one of Zenyatta’s brightest pupils. Genji’s newfound peace can be seen in the short film, Dragons. Genji revisits his brother, Hanzo, who lives in shame, thinking that he killed his brother. 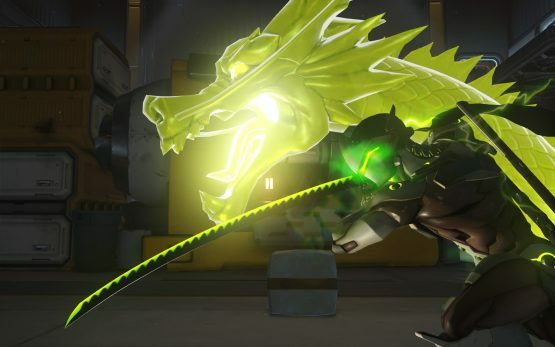 Genji appears in his cyborg form, and is unrecognized by Hanzo. Hanzo attempts to kill the stranger after he says, “Genji,” shouting, “How dare you say his name!” However, Genji beats Hanzo this time, and reveals his identity. Forgiving Hanzo before he leaves, he assures Hanzo that it is not too late for him to redeem himself, and disappears into the night, having finally found peace. Hanzo Shimada is the older brother of Genji. Unlike Genji, Hanzo sought to make his father, Sojiro, proud by committing his life to the Shimada clan. As Sojiro’s eldest son, Hanzo was trained to be his successor from an early age. 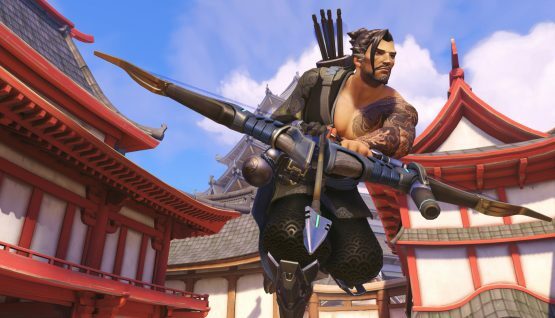 A little-known fact is that Hanzo is actually a superior swordsman to Genji, but swore never to use a sword again after thinking that he had killed his own brother. Hanzo, after the events mentioned in the Genji section, eventually parted ways with the Shimada clan due to his shame. Instead, he sought to live a solitary life in search of redemption. His departure from the clan led to the elders labeling him as an enemy, and so he fought off assassins time and time again, always prevailing. Australia’s outback was turned into an irradiated wasteland after a rebel group with a mutual distaste for Omnics blew up an Omnium (Omnic factory). Although many died, there were some—the Junkers, as they called themselves—who excelled in this new, lawless society. One of these people was Jamison Fawkes, a.k.a. Junkrat. After finding himself at odds with the Queen of Junkertown, Junkrat formed an unlikely alliance with Roadhog, who agreed to be his bodyguard in exchange for half of the treasure Junkrat had found. 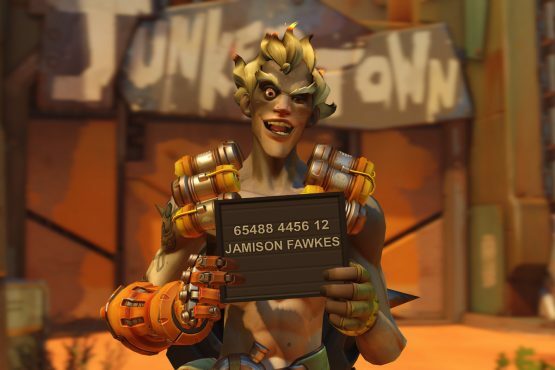 They were kicked out of Junkertown and embarked on a global crime spree, even stealing the Queen of England’s crown jewels. The pair eventually returned to Junkertown, with a plan to steal the Queen’s gold and burn the whole place to the ground. However, Junkrat, in true Junkrat fashion, spoiled their plan in seconds, resulting in the duo being stuck outside barred gates, with a ticking bomb to boot. Lúcio Correia dos Santos grew up in Rio de Janeiro. A talented sportsman, Lúcio found his true love in music. Although his favela was left impoverished by the Omnic crisis, it wasn’t until the Vishkar Corporation came to Rio that his people became truly oppressed. In an effort to rally his people, Lúcio stole a sonic amplifier from the Vishkar headquarters, and successfully led the rebellion that pushed Vishkar out. He became more famous than ever, and went on a worldwide music tour. Although he became a celebrity, Lúcio never let go of his belief in a better tomorrow. 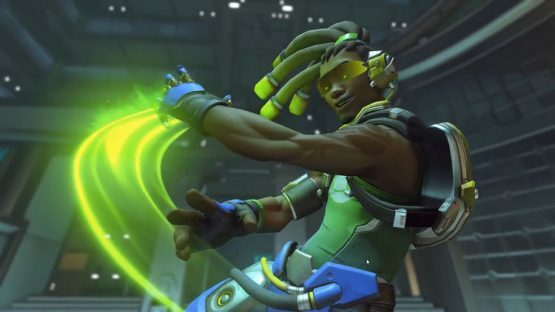 To this day, Lúcio uses his music to inspire social change all over the world, and is very outspoken on his love for Brazil.